A search engine results pages (SERP), is the listing of web pages returned by a search engine in response to a keyword query. The results normally include a list of web pages with titles, a link to the page, and a short description showing where the Keywords have matched content within the page. A SERP may refer to a single page of links returned, or to the set of all links returned for a search query. Some search engines cache pages for frequent searches and display the cached pages instead of a live page to increase the performance of the search engine. The search engine updates the search results periodically to account for new pages, and possibly to modify the rankings of pages in the search results. Most of the results are weird and hard work is needed to make them readable. Search result refreshing can take several days or weeks which can occasionally cause results to be inaccurate or out of date. SERPs of major search engines like Google, Yahoo!, Bing, may include different types of listings: contextual, algorithmic or organic search listings, as well as sponsored listings, images, maps, definitions, videos or suggested search refinements. The major search engines visually differentiate specific content types, such as images, news, and blogs. Many content types have specialized SERP templates and visual enhancements on the main search result page. Major search engines like Google, Yahoo! and Bing primarily use content contained within the page and fallback to metadata tags of a web page to generate the content that makes up a search snippet. The html title tag will be used as the title of the snippet while the most relevant or useful contents of the web page (description tag or page copy) will be used for the description. If the web page is not available, information about the page from dmoz may be used instead. 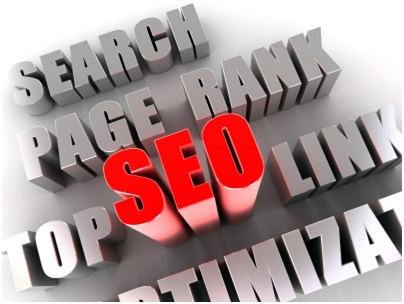 Webmasters use search engine optimization (SEO) to increase their website’s ranking on a specific keyword’s SERP. 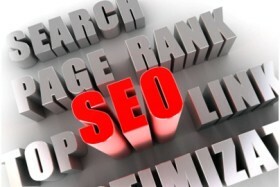 As a result, webmasters often check SERPs to track their search engine optimization progress. To speed up the tracking process, programmers created automated software to track multiple keywords for multiple websites.